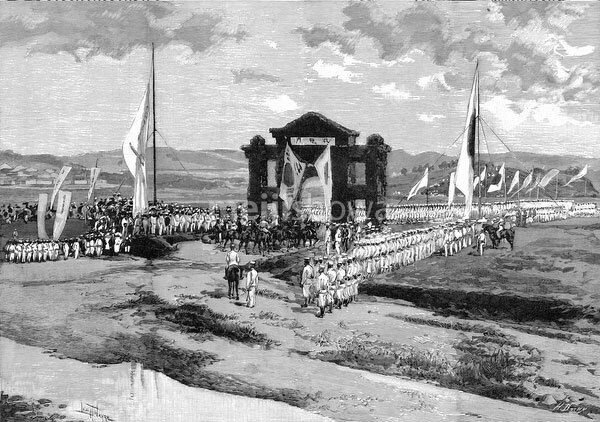 Japanese Triumphal Arch (凱旋門) erected in Seoul, Korea during the First Sino-Japanese War (1894–1895). Published in the French illustrated weekly Le Monde illustré on October 27, 1894 (Meiji 27). Art by French artist Louis Tinayre (1861-1942).